Hello, I'm Lauren! 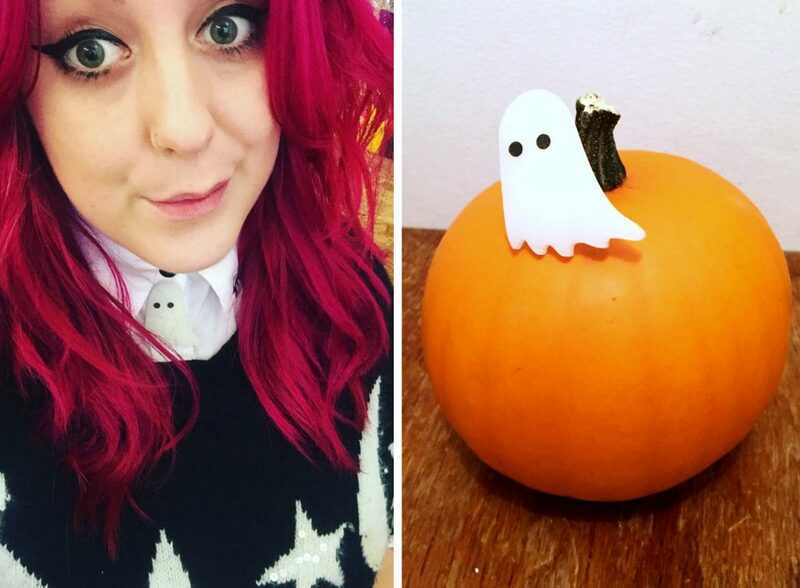 I'm the pink haired lass that works in our lovely Brick Lane and Covent Garden stores! If I'm not wrapping your beautiful treasures in tissue paper or making you a bespoke Name Necklace, I'm usually hanging out in a graveyards... or telling terrible jokes, just like this one! Joking aside, I do love this time of year and always have done. 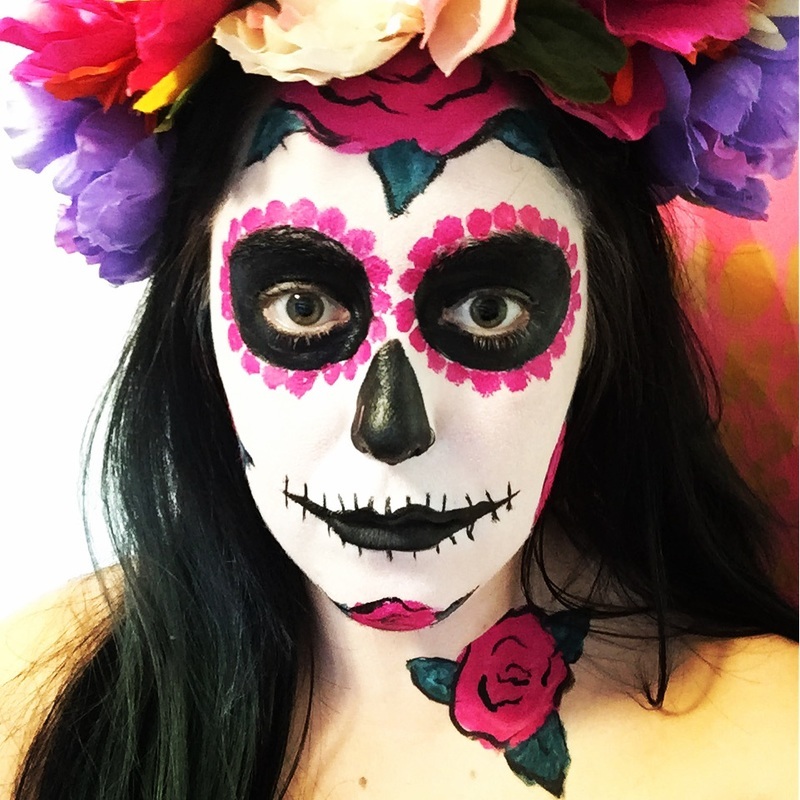 I have no idea why I’m drawn to the macabre, skulls and little cute ghosties but I am… so today I’m taking over the blog to share my love of all things spooky and show you how to create bone-chilling sugar skull makeup! Halloween has always held a special place in my heart ever since I was small. My little sister and I would put SO much effort into dressing up and decorating the front porch of our house, going so far as to collect leaf litter from the local woods and play spooky music through the letterbox! It is also my Nan’s birthday and I adore making her a Halloween themed card every year - trust me, she loves it! 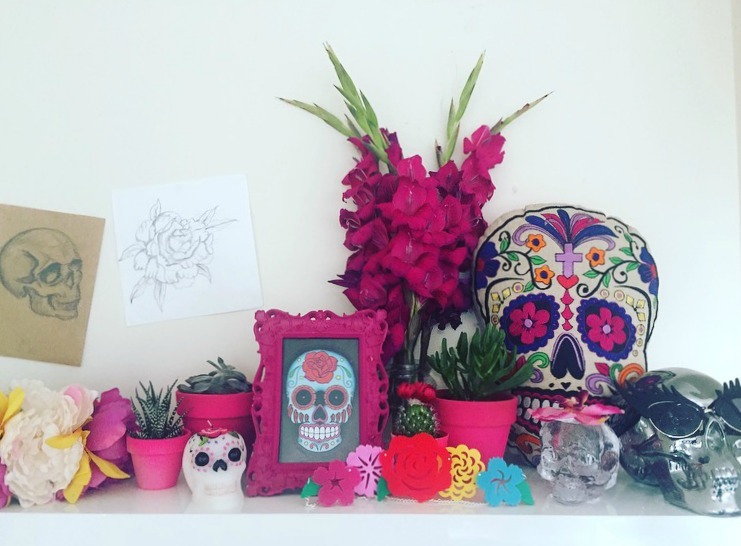 My love of skulls grew and grew and became fascinated with sugar skulls and the history behind them. I found out that it was all part of a Mexican holiday held on the 1st and 2nd of November right after Halloween! Day of the Dead is a festival to remember loved ones that have died, it is in no way a somber affair, it’s a celebration of the departed one's life. I have become more and more inspired by Mexican art and culture in recent times, with Frida Kahlo being a big influence. I’m so interested in Mexican embroidery and the detail and time that goes into it, plus I even own a nursery of cacti in my flat too! What you will need: Face or body paint, face painting or artist brushes, glitter and gems (optional), reference images. 1. First of all, create a solid base for your look - white face paint is by go to! 2. With a small brush and black face paint, draw circles around your eyes to create eye sockets and draw a small nose hole. Then fill everything in! 3. For your mouth, to keep things simple just paint your lips black and extend with thin lines like I did in my first snap, or take it next level and experiment with drawing on teeth. It takes a little time but the results are worth it. 4. Now for the fun part! It’s time to show of your personal style with glitter and adornments for extra pizzazz! I love decorating around my eyes and painting Mexican flowers on my neck. 5. Add a flower crown and you are good to go! 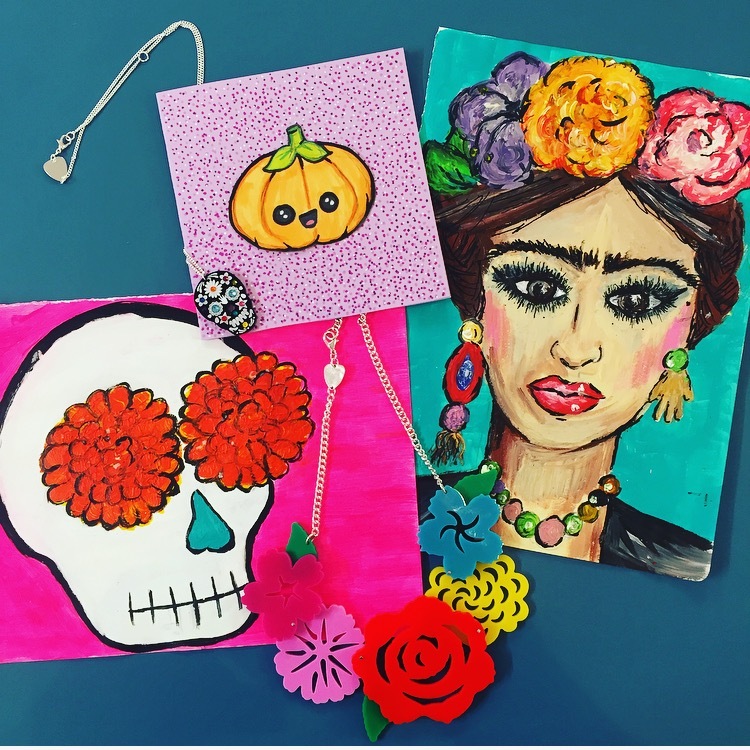 Will you be trying out this sugar skull look for Halloween? Share your snaps with us on Twitter!